Individuals belonging to the Taurus club are really slow in the matters of love. They like to go slow when they are attracted to someone. Once they are sure about it they will take time and analyze the situation with all the negatives and positives. They are passionate but give importance to patience in the matters of love. As soon as they are sure about their feelings, they will try to win the person with care. It is hard for them to admit that the person admires them for what they are. This trait will draw people away from them and a relationship will work only if the other person is ready to accept them, the way they are. They take time to arouse sexually but once they are it is difficult to pull them back. They just can’t afford to get hurt and this is the reason that they need to be sure of everything. 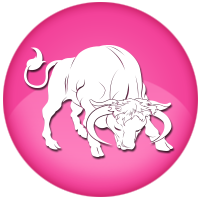 On the negative side, individuals belonging to the Taurus club are highly possessive. More the love more is the possessiveness and this is the reason that their partners do not feel comfortable with them. They should aim to make their loved ones happy and should not try to own them or dominate them.